On Easter Sunday in Tulsa, Oklahoma, those not found in the church could be found touring the Woody Guthrie center downtown. Easter weekend is a time for families and this weekend Oklahoma’s have one thing on their mind: on Monday, teachers in over 100 school districts in Oklahoma are poised to go on strike demanding higher pay. 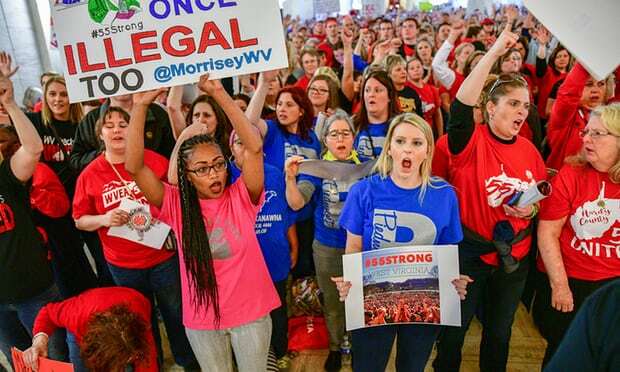 Be the first to comment on "Wave of teachers’ wildcat strikes spreads to Oklahoma and Kentucky"